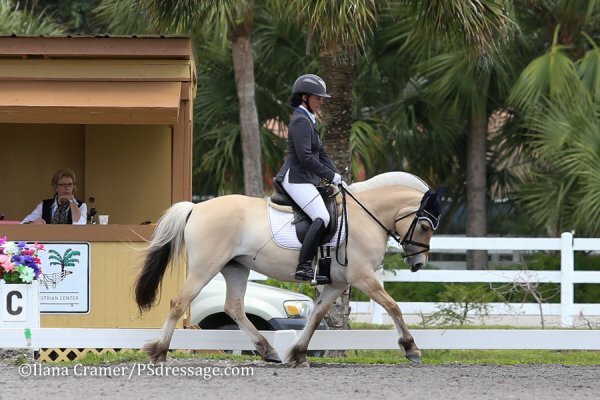 Loxahatchee, FL – March 28, 2015 – Lauren Chumley and her fleet of Norwegian Fjords took center stage on the opening day of Welcome Back to White Fences II. Hailing from Pottstown, Pennsylvania, Chumley brought six of Full Moon Farms’ Fjords to Florida to compete for the season. 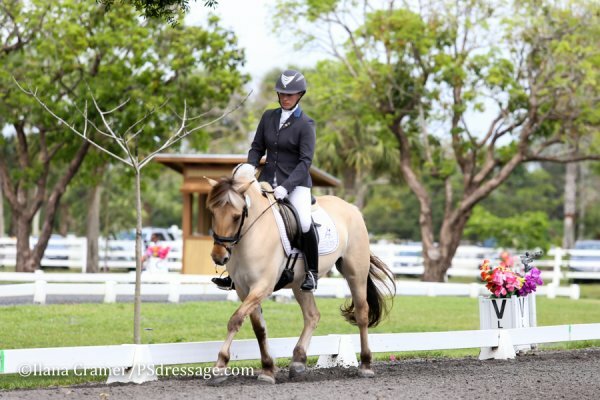 It might seem unusual for an adult to be riding and training ponies, but these Fjords are not to be doubted as they earn solid scores to compete with the big warmbloods of the dressage world. Chumley started her riding career relatively late for the horse world, getting on a horse for the first time at the age of 12. Her first job in high school was with a Fjord breeder in Ohio. Working with the breeder for eight years, Chumley fell in love with Fjords and perfected her training techniques. Now working in New Jersey, Chumley continues her passion of breaking, training and showing Fjords. With years of experience, Chumley is no stranger to the breed. She also owns and rides a 17-hand warmblood. 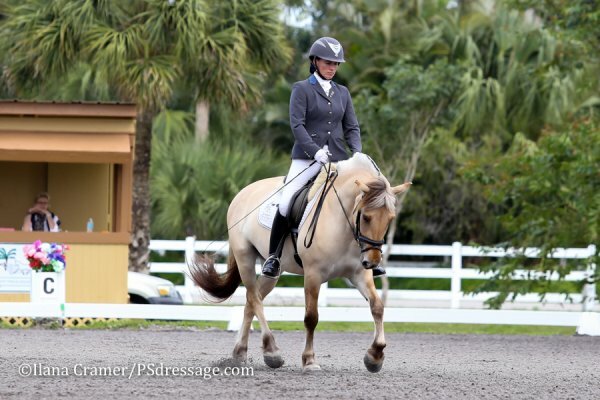 She loves the transition between the Fjords and the warmbloods she rides, and she feels the low maintenance and easy-going demeanor of the Fjords make them very appealing. On Friday, Chumley brought FMF Champagne and FMF Hershey’s Kiss to compete against each other in the Pony Test of Choice. Competing at Training and First Level, these power ponies put up big scores of 72.273 percent and 66.481 percent. Not many ponies are seen competing in the sport of dressage, but Chumley suggests that every small adult give them a try. 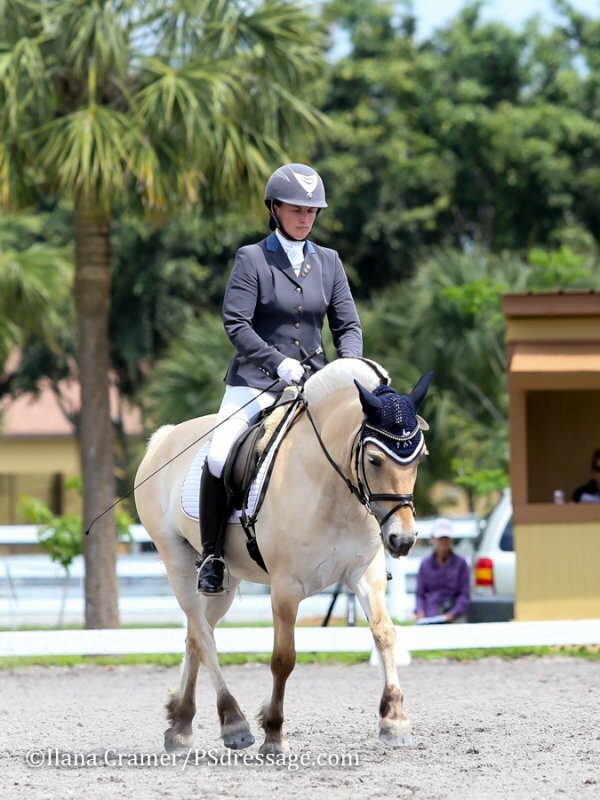 Not only do her Fjords excel in the dressage arena, they also find success in eventing. 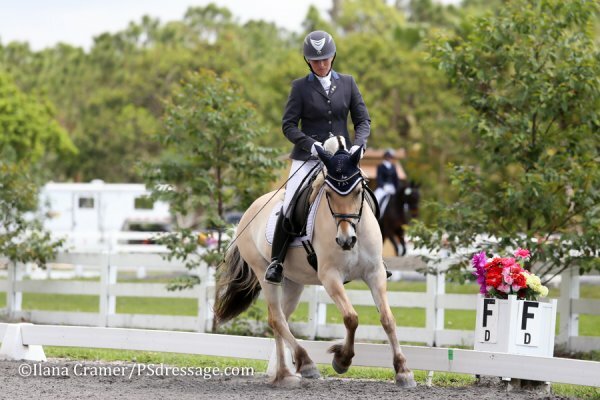 In 2007, Chumley took SNF Maarta, a 13.3 hand Fjord, to the American Eventing Championships (AEC) at Lamplight Equestrian Center in Wayne, Illinois. 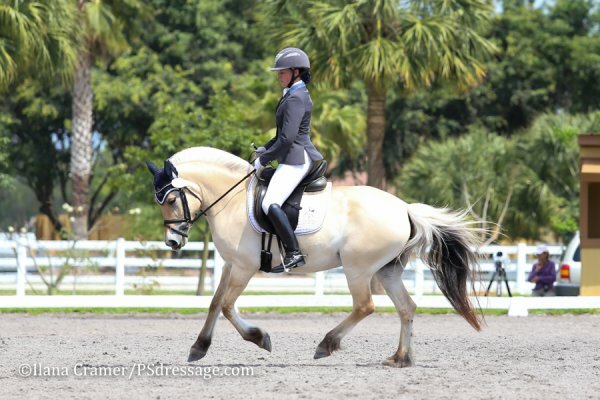 They earned a first place finish in the Open Beginner Novice division as part of a field of more than 70 horses. 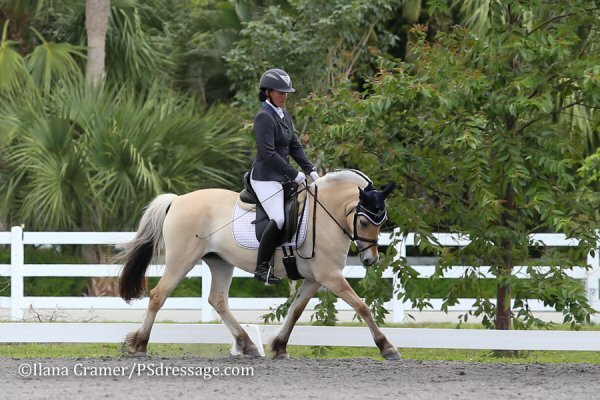 Florida is a major draw for Chumley in the winter, not only for the competitive atmosphere but for the opportunity to work with a variety of trainers who help her reach the next level as a rider and trainer.